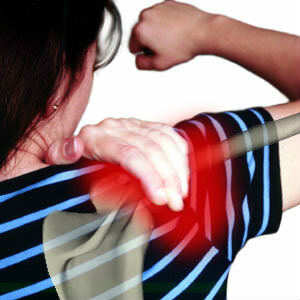 Have you ever had an injury or surgery that left you with residual pain, even months afterwards? If so, I can provide relief. When muscle is torn or cut, the body defends the injured tissue by attaching it to surrounding structures to limit the extent of the injury. However helpful and logical this response is, it doesn’t automatically heal the injury. By nature, your body does a great job of repairing the original damage but there are often adhesions (stuck places) left behind. These adhesions can cause pain and limited range of movement not only in the immediate area of injury but also in other parts of the body that might not seem related to the injury. Unfortunately, you can’t just stretch these places out and consider that all is well. The best way to release adhesions and start feeling better is by fairly deep, therapeutically focused massage. I do this type of massage regularly, often with very good results. By communicating with your physician and/or physical therapist, I can create a massage designed specifically to relieve pain and improve range of movement. Once the muscles and adhesions are loosened, it’s up to you as my client to keep these areas moving properly with stretches and exercises I will provide. Of course, not every injury can be resolved in this manner but I can make significant improvements in how your body responds and how you feel. I would love to help YOU feel better in 2017!